A few weeks back I was drooling over some cupcakes my friend Cakelaw, from Laws of the Kitchen made and the next day I decided to make some. I did not have exactly the ingredients so I used both plain flour and self raising flour and reduced the baking powder, I added orange essence as I was out of vanilla essence and added a little bit of extra sugar as I wanted to add 2 ripe bananas I had. They turned out great, the kids loved them especially those with the glaze. Preheat your oven to 170 degrees Celsius and line muffin tins with paper muffin cases. Cream the butter in an electric mixer so it is soft and pale, then beat in the sugar in 3 lots, and beat the mixture until the butter and sugar are fully combined. Beat in each egg and then finally beat in the orange essence. Divide the cupcake batter equally between the 24 muffin cases and smooth over the tops. Bake for 20 – 25 minutes or until cooked through. Cool completely on a wire rack before frosting. Sift the icing sugar. Add the lemon juice and mix until you have a spreadable paste. Add the glaze and decorate with coconut and a cherry. Right choice. One coming up (lol). Mmmm…yummy cupcake Ivy…I’ll have an extra cherry thanks! Very nice. And with those lucious cherries. Your changes of the recipe seemed to have worked out pretty well. And I just noticed you won the first place at the GCC County Fair. Congratulations! Ben, it worked fine and thanks for the GCC but it was not big deal. Ivy, thanks so much for fixing your blog so it loads without problem. It’s dramatically better now!! You just never disappoint do you Ivy :). I’m sure that if I had to rework the recipe I just wouldn’t even know where to begin (i.e. don’t have enough of this flour so I’ll reduce the baking powder).Huh??? I wouldn’t even think of it or how it could impact the whole thing. So much to learn. Giz, thanks, I don’t know what to say. When I don’t have the ingredients I just make use of what I have at hand and go along with my instincts. Sis, I am sure you make lovely cupcakes and I am looking forward to see what you will prepare. 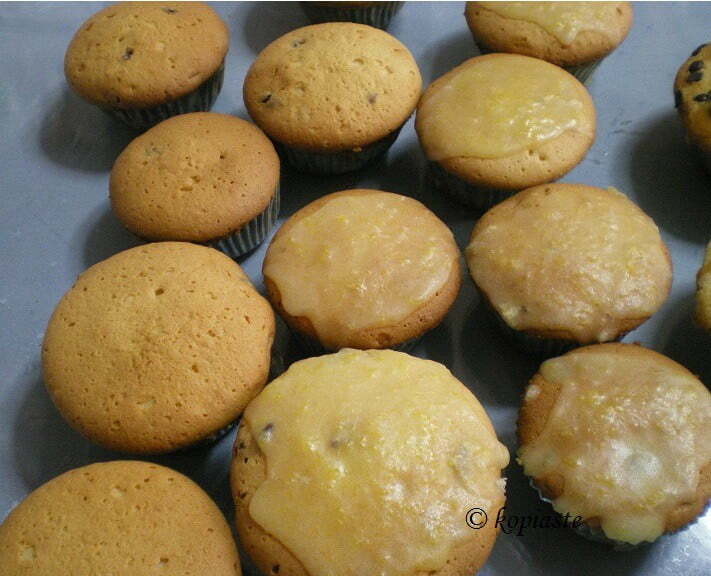 i am amazed at your zeal and this recipe for cupcakes banana with coconut and cheriies looks so good..even the pictures have come out very nicely.. Thanks Anamika. I believe that we learn a lot every day and my photos have definitely improved just a little bit since I started blogging one year ago (lol). Wow Ivy, these look delicious! Cherries on top are such a sweet idea. And thanks for the mention 😉 – much appreciated. Jeena, thanks. I simply LOVE coconut and although I should avoid eating it I can’t resist. Vani, I can believe you because that’s how I felt when I saw them at Cakelaw’s blog. Cake, I always drool over your recipes. You inspired me hon. and of course, you should get credit for this. Thanks for posting it. Haley, thanks for choosing one of my recipes. Please go ahead and publish it. Hope you will put a link back to my site.